Having spent nearly all of Sunday in the home garden planting spring flowering bulbs I thought I would write about it for my Blog. 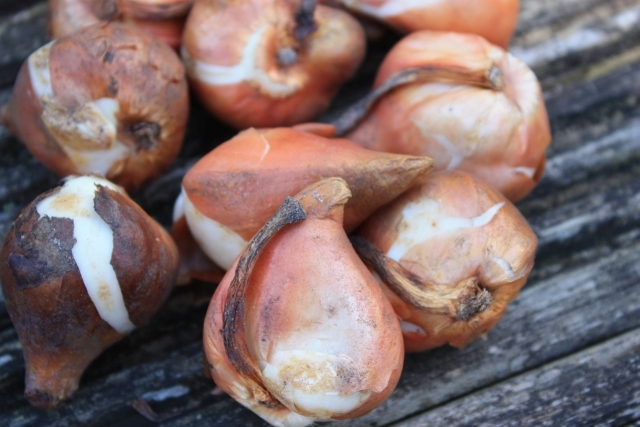 I love handling the bulbs, they are simply beautiful as they are and what they go on to produce is extraordinary. This time of year I’m thinking about and planning for what happens in the spring. Bulb planting is a great way to create change in a garden by adding colour, height and even perfume. First prepare a planting hole and I like to plant bulbs in between perennials and shrubs so that as they grow they appear up through plants – in a more informal and dynamic way. I still flinch when I pass a neighbour’s garden who plants all the Daffodils in a solid straight line. Not for me! 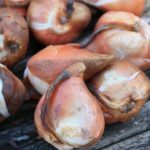 Make sure you plant the bulbs by 3 times their own height and I like to plant bulbs on a nest of horticultural grit, which you can buy at all garden centres and nurseries. So next spring I shall be seeing my newly planted Tulips ‘Queen of Night’ and Honeybells (Nectaroscordum) which I absolutely love. About two years ago I made a ‘Mother’s Day’ border for myself. It was a tribute to my son who couldn’t visit me for whatever reason and feeling sorry for myself I decided to jump out into the garden and make a whole new border.